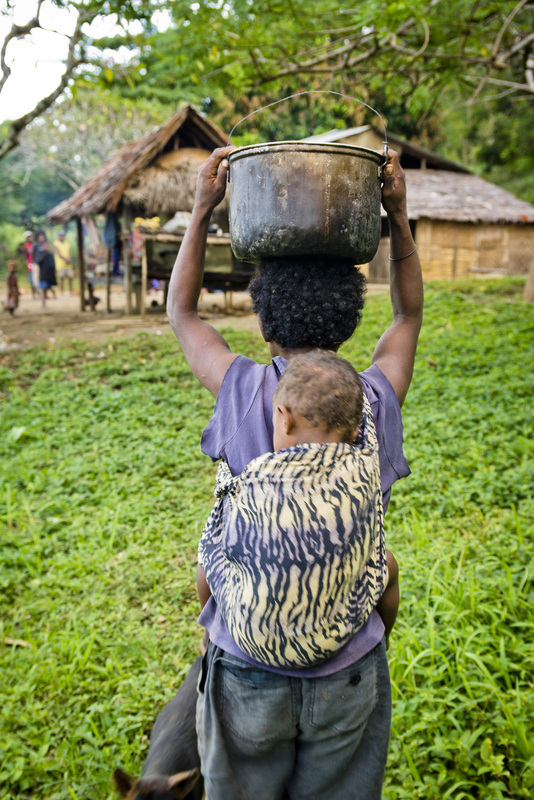 The PNG Experience exists to celebrate the wonderful things God is doing in the Bible translation and language development effort in Papua New Guinea. This is accomplished by presenting the good stories in multiple formats that highlight what is taking place. These stories are encouraging people around the world. Rejoice with us as we see God’s hand at work in this effort. 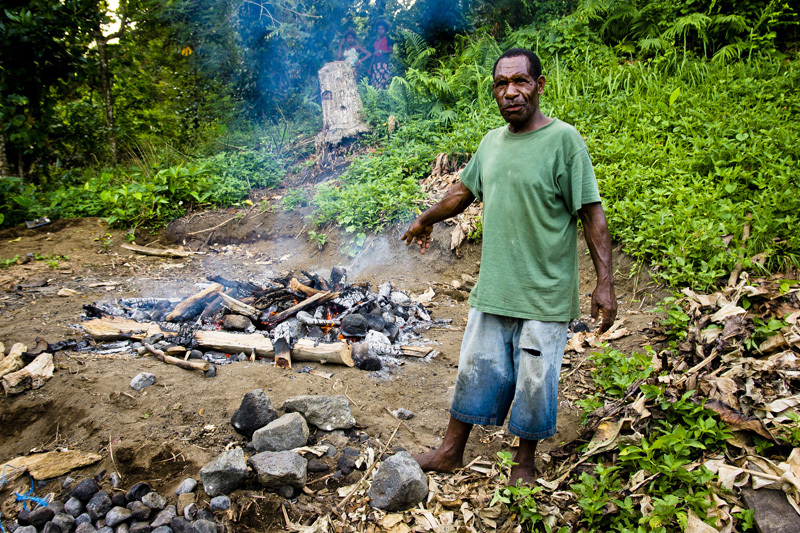 Pray that the good news of the tremendous effort being made in Bible Translation would continue to go out in PNG. 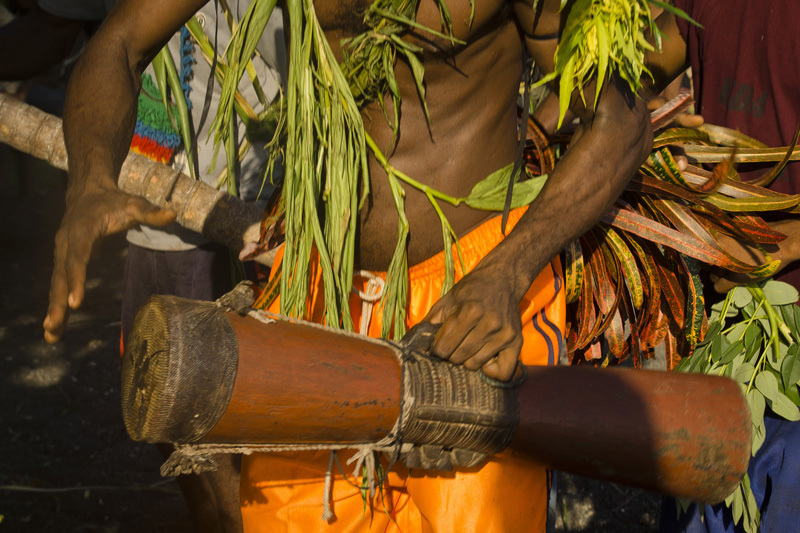 In Papua New Guinea, drums are used in many different ways. They are used to keep rhythm for their music and dancing. They are pieces of art and decoration. They are used to bring attention to a problem or need. So imagine a drum calling you to listen to an important message. So pretend your hear a drum beating right now. Today’s important message is the great need for resources and prayer so that the almost 300 languages still needing a project may soon have one started. Pray that these resources will come soon. How often do planes land here? Only when the language workers come and go. So when the children hear the planes low in the sky, they run to the airstrip to see the planes land. These strips don’t just happen. It requires much work by many people to make the landing area smooth and keep the grass cut short. 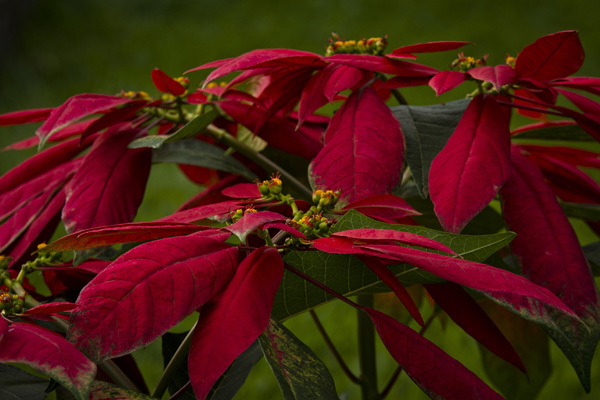 It is often cut by hand using bush knifes. 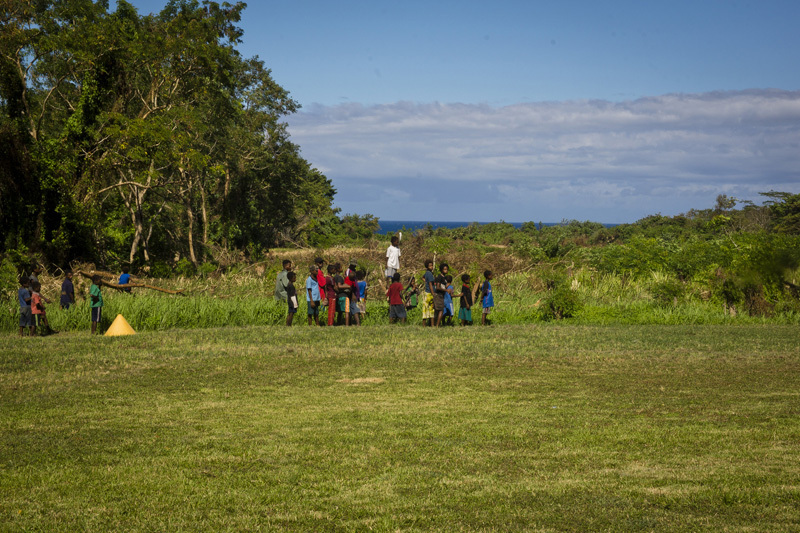 These airstrips are essential to the work of Bible translation and language development. Without a place to land an airplane or helicopter, getting to these remote areas is difficult at best, and often impossible. Every year more and more airstrips are closed because of lack of good maintenance. 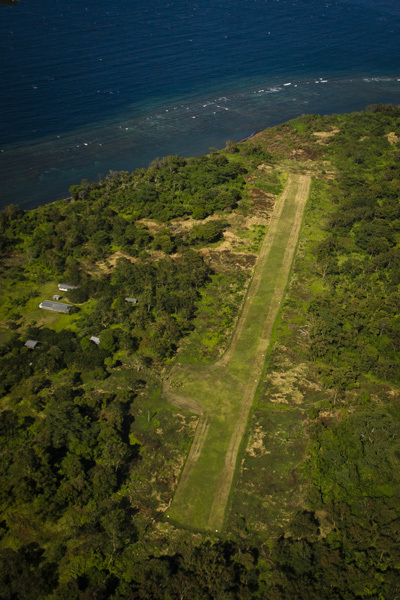 Pray that these airstrips are well-maintained so that they can remain open and the work can go on. OK… it may not look like a typical oven to you but there is a whole pig under there. There are many ways to cook pork but it always tastes great. 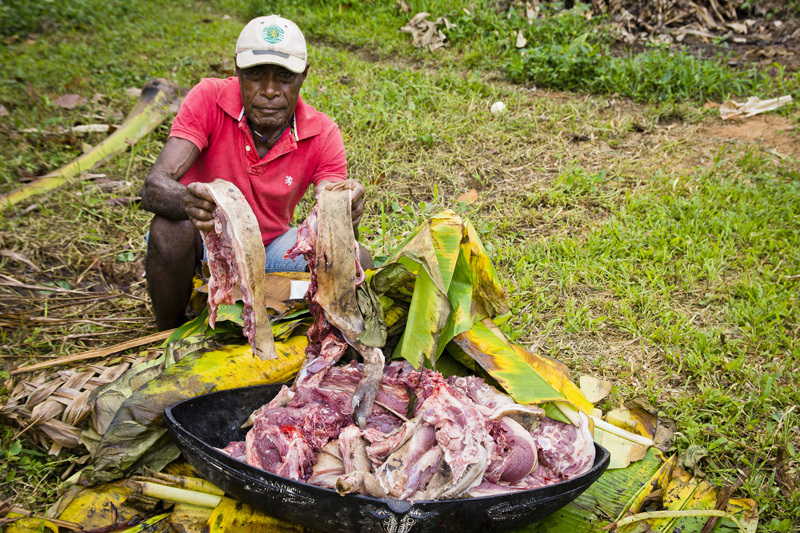 Pork is the main course at most major Papua New Guinean feasts. It is an honour to have it served at a celebration. This pig is being eaten to celebrate another New Testament. Praise the Lord for another Scripture in the heart language of the people… and for good food! There always seems to be something extra to do. Multitasking hasn’t seemed to diminish anyone’s work load. 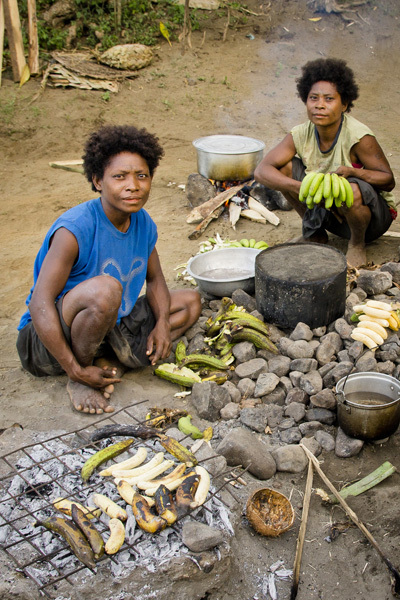 Living in remote areas of Papua New Guinea takes time and energy. Many translation teams are delayed in completing their linguistic efforts simply by the normal requirements of life. Many translators need to continue doing what they always do and try to squeeze translation work in when they can. Pray that communities and churches would rally around the teams and assist them with the basic life requirements so they can focus on the language work. Sliced bananas on cereal may sound familiar but that is not the only way to eat bananas for breakfast. How about roasted over a fire? Now that’s a great way to start the day. It isn’t hard to imagine that people all over the world do things differently and enjoy the difference. What is hard, is recognising that the way you usually do something, is not always the best way. 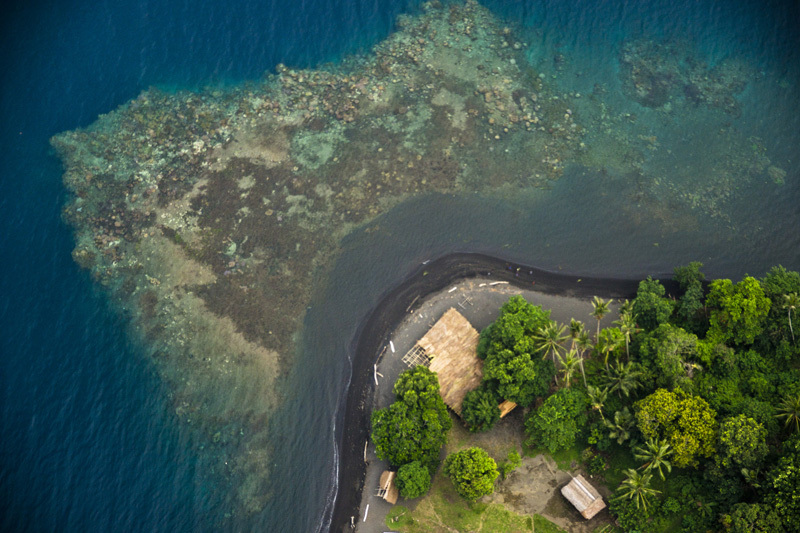 Language workers in Papua New Guinea have to evaluate their way of thinking and make sure that they are not missing an opportunity to embrace a new way of doing things. The cultural context in which they work may offer a better solution for that language. Pray for flexibility and adaptability as new ways of working in languages are discovered. What would you do if you lived here? It may be a bit too distracting to put your office here! This building was erected in order to celebrate a different sight. This building housed the dedication celebration for the Arop-Lokep New Testament. On that day, the New Testament was distributed so that many people could get a better insight into the Word of God in the language they new the best, their heart language. Pray for the Arop-Lokep translators who are continuing on and have begun to work on the Old Testament.